Landed St Nazaire (France) on 10 September 1914. August 1914 : in Malta. Returned to England and landed at Southampton on 25 September 1914. 25 September 1914 : came under orders of 23rd Brigade, 8th Division, forming up at Hursley Park near Winchester. Landed at Le Havre 5 November 1914.
a part as Tyne Garrison. December 1915 to Redcar and in April 1916 to West Hartlepool, where it played a part as Tees Garrison. Strenshall and late October to York. In March 1915 moved to Gainsborough. 15 April 1915 : landed at Boulogne. 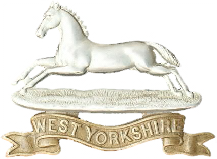 15 May 1915 : formation became 146th Brigade, 49th (West Riding) Division. to Strenshall and late October to York. In March 1915 moved to Gainsborough. 30 January 1918 : transferred to 185th Brigade, 62nd (2nd West Riding) Division, absorbing 2/8th Bn and renamed 8th Bn. Formed at York on 28 September 1914.
and June 1916 to Somerleyton near Lowestoft. In October 1916 to Bedford and finally landed at Le Havre in January 1917. 13 August 1918 : disbanded in France. Formed at Bradford on 12 September 1914.
record same as 2/5th Bn. Formed at Leeds, 15 September 1914. June 1916 to Somerleyton near Lowestoft. In October 1916 to Bedford and finally landed at Le Havre in January 1917. 16 June 1918 : reduced to cadre strength. Cadre returned to England and was absorbed into 18th York & Lancs on 19 June 1918. Formed at Leeds, 14 September 1914. Record same as 2/7th Battalion. 1 February 1918 : absorbed by 1/8th Bn. Formed at York on 25 August 1914 as part of K1 and came under orders of 32nd Brigade, 11th (Northern) Division. 3 July 1915 ; sailed from Liverpool for Gallipoli via Mudros and landed at Suvla Bay 6 August 1915. 1 July 1916 : landed at Marseilles. Formed at York on 3 September 1914 as part of K2 and came under orders of 50th Brigade, 17th (Northern) Division. Formed at York on 10 October 1914 as part of K3 and came under orders of 69th Brigade, 23rd Division. 26 August 1915 : landed at Le Havre. November 1917 : transferred with Division to Italy. Formed at York on 16 September 1914 as part of K3 and came under orders of 63rd Brigade, 21st Division. september 1915 : landed at Le Havre. 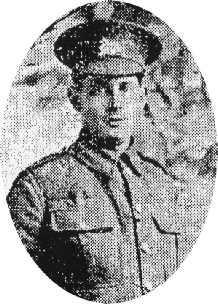 16 November 1915 : transferred to 9th Brigade, 3rd Division. 17 February 1918 : disbanded in France. Formed 10th Entrenching Bn with 8th East Yorks. 10 April 1915: became a Reserve Battalion. 1 September 1916 : converted into 8th Training Reserve Battalion in 2nd Reserve Brigade. 263268 and finally the West Yorkshire Regiment again, service number 200631.
newspaper that he was in the 1st/5th Btn West Yorkshire Regiment. one of 14 Divisions of the peacetime TF. concentrate in the South Yorkshire / Lincolnshire area by mid August 1914. Le Havre. By 19 April the Division had concentrated in the area of Estaires - Merville - Neuf Berquin. Pozieres Ridge (23 July-3 Sept) and the Battle of Flers Courcelette (15-22 Sept)). ‘wounded’ so this was probably at the Battle of Albert. We do not know if he continued to fight after being wounded or if he was discharged from service. Battle of Kemmel Ridge (25-26 Apr), Battle of Scherpenberg (29 Apr)). The Final Advance in to Picardy (Battle of the Selle (17-25 Oct), Battle of Valenciennes (1-2 Nov)). cadres left for England. The Division reformed as part of the Territorial Army in April 1920.
the British War Medal and Victory Medal. and 19th Labour Companies, Labour Corps in May 1917. Formed at Aldeburgh in June 1918 but was soon absorbed into 13th Battalion. Formed in August 1915 then to Malta where it remained throughout the war. Formed March 1916, remaining in UK throughout the war. Became 7th Bn, Royal Defence Corps in August 1917. Thoresby but by September 1918 had returned to Clipstone. had moved to Thoresby but by September 1918 had returned to Clipstone. 1 September 1916 : absorbed into Training Reserve Battalions in 3rd Reserve Brigade. Formed in Leeds in September 1914 by the Lord Mayor and City. June 1915 : came under orders of 93rd Brigade, 31st Division. 7 December 1917 : amalgamated with 17th Bn to form 15th/17th Bn. Formed in Bradford in September 1914 by the Lord Mayor and City. Formed in Leeds in December 1914 by the Lord Mayor and City, as a bantam Bn. 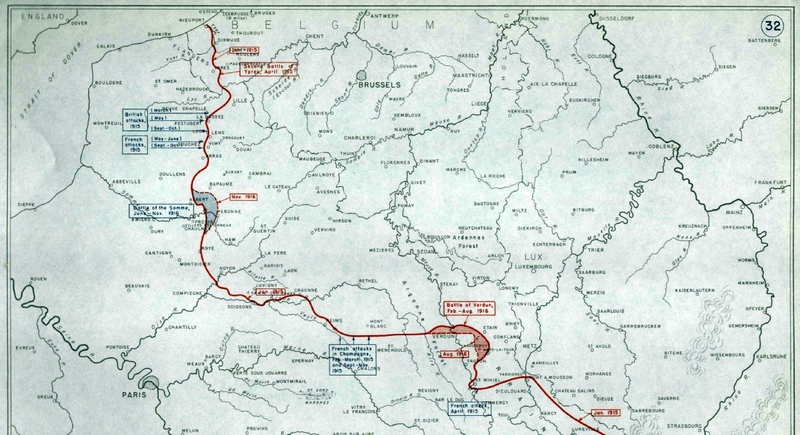 June 1915 : came under orders of 106th Brigade, 35th Division. 16 November 1917 : left Division for XIX Corps on railway work. Amalgamated with 15th Bn in December 1917. Formed in Bradford on 22 January 1915 by the Lord Mayor and City. Formed at Clipstone Camp in August 1915 as Reserve Bns. 1 September 1916 : became 88th and 89th Training Reserve Battalions in 21st Reserve Brigade. Formed in Halifax on 24 September 1915 by the Lord Mayor and City of Leeds. Moved to Skipton in February 1916. June 1916 : moved to France. 2 June 1916 : came under orders of 4th Division as Pioneer Battalion.